November is Lung Month! The Bowdish lab gets involved with the Breathing As One campaign. Research in Lung health is not nearly as well funded as it should be considering the toll it takes on patients and our healthcare system. 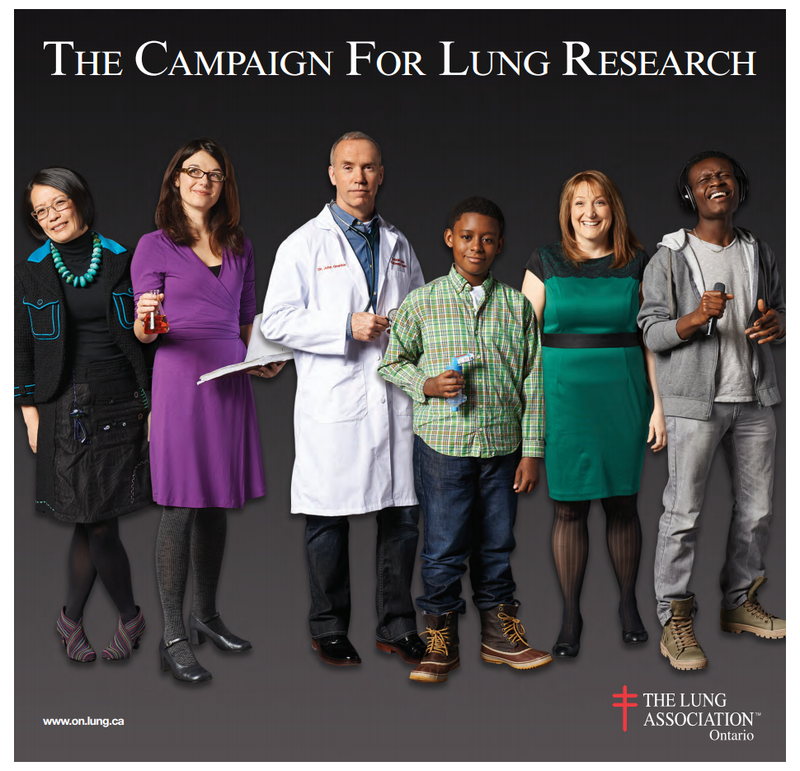 That’s why the Bowdish lab is involved in the Lung Association’s Breathing as One campaign to raise money for lung research. Click on the picture to read the insert that was delivered in a number of newspapers (including our own Hamilton Spectator) to launch the campaign. Dawn’s Google+ social media page listed as one of “99 Google Plus Pages Every PhD Candidate Should Follow”. Dawn posts on all things macrophage-y and gives updates on the Bowdish lab and science life in general on her Google+ page, which has now been listed by http://onlinephdprogram.org as one of their “99 Google Plus Pages every PhD Candidate should follow.” Thanks for following everyone! What is the best way to reduce infectious disease in the elderly? Vaccination! Unfortunately the aging immune system presents a number of challenges for vaccine development. 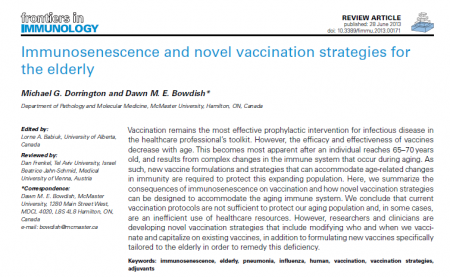 Bowdish lab PhD candidate Mike Dorrington discusses them in this review and presents a case for developing novel vaccines that work within the constraints of the aging immune system. Media coverage: This paper was picked up by MDLinx. See their coverage here.